Some firms need Private Clouds to maintain control over critical mission applications and data supporting those applications. At the same time many CIOs and IT Directors want to leverage the benefits of the Public Cloud. A Hybrid Cloud, a combination of a Private and a Public Cloud, is often the most prudent cloud solution for many companies. 4. Security: Cloud service providers, especially those larger in size, often offer businesses a computing environment with more advanced security and technology than a company would be able to develop on its own. In October 2016, VMware and Amazon Web Services (AWS) announced a strategic partnership for a Hybrid Cloud that brings the two leaders in Enterprise IT together to deliver VMware's vSphere-based cloud service running on AWS. 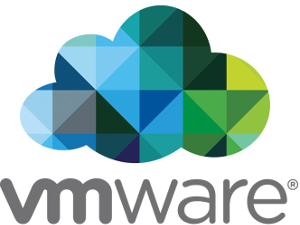 VMware Cloud on AWS, will bring VMware’s enterprise class Software-Defined Data Center software to the AWS cloud, and will enable customers to run any application across vSphere and VMware Cloud Foundation™ based private, public and hybrid cloud environments. The service will be optimized to run on next generation, elastic, bare metal AWS infrastructure. VMware Cloud on AWS will be powered by VMware Cloud Foundation™, a unified Software-Defined Data Center (SDDC) platform that integrates VMware vSphere, VMware Virtual SAN™ and NSX™ virtualization technologies, and will provide access to the broad range of AWS services, together with the functionality, elasticity, and security customers have come to expect from the AWS Cloud. Operationally consistent with vSphere: You will have a single pane of glass for managing on-premises and VMware Cloud resources on AWS. Seamless integration with AWS Services: Virtual Machines running in this environment will have access to leverage AWS’s broad set of cloud-based services. Seamless workload portability: Full VM compatibility and total workload portability between the datacenter and the AWS cloud. No patching or upgrades: Operating “as a service” means that VMware will take responsibility for ensuring that your environment is always up to date. See below for more information about VMware's Cloud Foundation™, VMware vCloud Suite®, VMware vRealize® Suite platforms.